World Encephalitis Day is over for another year! 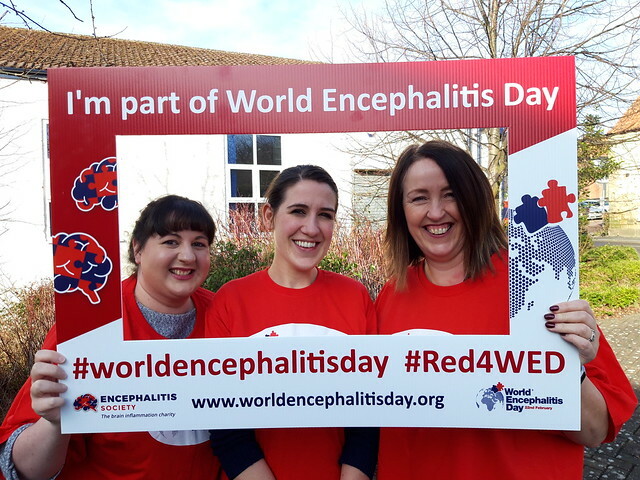 Thank you to everyone who took part in helping us to raise awareness of encephalitis through social media, being interviewed in newspapers, on radio or television, wearing something red and even making a donation to help us do our life-saving work. It's been a journey several months in the making and along the way we have had a lot of help from our sponsors (see below) and our supporters old and new. Your support means everything to us! Thank you! Dr Mark Ellul, a specialist registrar in Neurology and Clinical Research Fellow, talks about acute encephalitis and his work searching for new diagnostic tools to help doctors in the emergency room. The podcast is from the Institute of Infection and Global Health (IGHLites) at the University of Liverpool. Charlie Baker, the Governor of Massachusetts, made a proclamation that February 22, 2019, was to be known as World Encephalitis Day in Massachusetts. Thank you to Kristin from Boston for all her hard work in petitioning for the proclamation. Please can you spare a few minutes and give us your feedback on World Encephalitis Day? How can we improve? What did we do well? What did we do not so well? Your views can help us to make World Encephalitis Day even better!